Most teenagers from Salinas, given the opportunity, are desperate to leave here. We’re a small city that feels like a farm town, surrounded by fields, with too little to do. It can sometimes feel incredibly confining; any errand or event seems to involve running into at least seven people you know. Despite this, I can’t say that I ever felt that desperation. I love Salinas. I left for college—and came back to teach at my old high school. My desire to work and give back to my community in Salinas was indoctrinated early by my parents. I remember walking precincts for city council elections in kindergarten, participating in park cleanups in elementary school, attending peace rallies in middle school, and volunteering at Natividad Medical Center in high school. Through those experiences, I began to care deeply for the city. Most people’s disdain for Salinas comes from what they perceive it is, but I returned because I love it for what it could be. In some ways, Salinas feels as it did in the heyday of Spreckels Sugar Company in 1924, when the city had the nation’s highest per capita income. We continue to have an ethnically diverse population, with an upper class mostly derived from the agriculture community and a supporting professional infrastructure, as well as a large number of laborers working in the Salinas Valley’s fields and packing houses. Sometimes, this polarized grouping of people can feel divisive. We are reminded of our differences constantly: We live in different parts of town, and differ in terms of ethnicity, nationality, and class. Our newspapers are regularly splashed with headlines of gang or police violence. But underneath those tensions is a tremendous opportunity. There is a chance to learn from each other, gain from each other, and benefit from the special mix of people found here in Salinas. When these groups are put in situations where they’re brought together, we see not only the best of Salinas, but also the best of human nature. We’ve always been told America is a melting pot. Or maybe we were told it’s a salad bowl (a metaphor that resonates in Salinas) in a more celebratory spin. It strikes me that it is often neither. Some communities resemble the carefully divided portions of a finicky 5-year-old’s meal—where different foods are separated and eaten in a distinct order, never touching or interacting. Luckily, some places in Salinas force mixing. 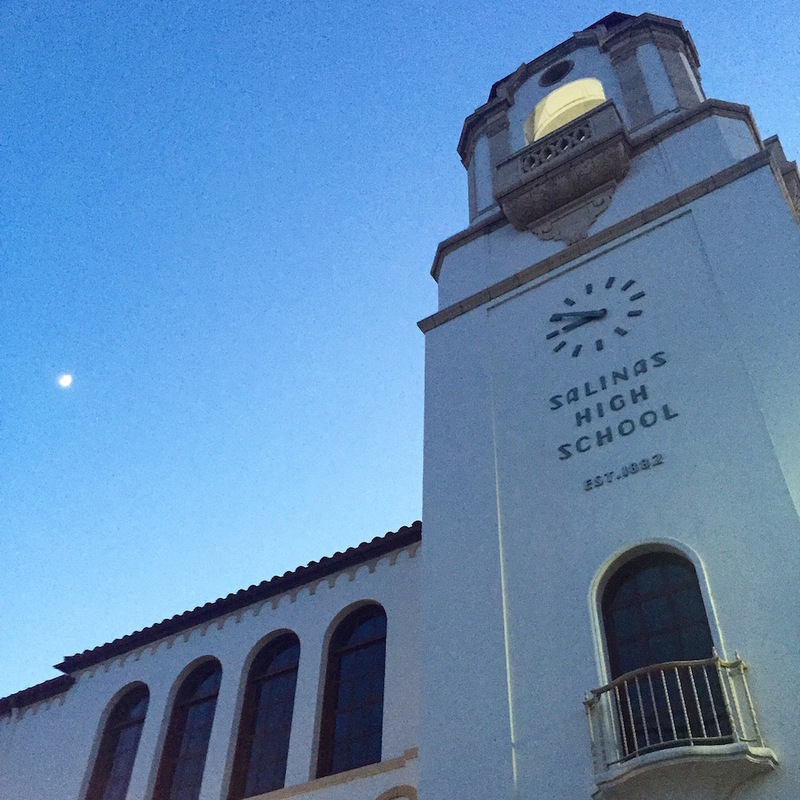 Salinas High School—where I graduated from and have taught at for the past 10 years—is one of those places. Similar to when I was in school, the student body is two-thirds Latino and one-quarter white, with the remaining 10 percent being a mix ranging from Filipino to Palestinian, African American to Japanese. Socioeconomically, the school has a similar diversity. Forty-three percent of our students receive free or reduced-cost lunch, while other students are lucky enough to not want for anything. And we are not colorblind. In high school—and in corporate or government settings, for that matter— colorblindness doesn’t work. It doesn’t serve to empower those who are different as much as it seems to perpetuate the current systems of power. At Salinas High, whether we admit it or not, we see red (Norteños or Northerners, more formally know as Nuestra Familia gang) and blue (Sureños or Southerners, or the Mexican Mafia), the colors representing the gangs that clash in this California crossroads. We see who has green (cash and the other kind of lettuce) and who does not. And we see the many shades of our skin. Colors divide, sure, but seeing so many, and acknowledging the different experiences and perspectives of each, can provide the basis for the dialogue and learning that produces growth of all kinds. My own learning at Salinas High has extended across more than half of my life and well outside the classroom. As a student, I learned simply from being around my classmates, who came from families that ran agricultural companies, and from families that toiled in the fields. I hung out in houses filled with agricultural welders, art professors, and ministers. I belonged to the Harvest Street Posse. We were a self-titled “gang” of 10 or so young men who always hung out on the street from which we derived our name. And while gangs have a very negative connotation in Salinas, our most devious and nefarious plots involved toilet papering houses or having water balloon fights in the street. All of us came from very different cultural backgrounds, and in every conversation I had with my peers and their parents, it was clear that we all had our own worldviews. But by playing basketball at the short court of the Church of Latter Day Saints, stopping by the Obon Festival at the Buddhist temple in the summer, and attending boisterous celebrations for religious holidays in labor camps, my preconceptions were challenged and my worldview was expanded. These experiences resonated precisely because, wherever I was in Salinas, I could feel the love from the Harvest Street guys and their families. In Salinas, we are nothing if not loyal to our communities. My story is not a special one in Salinas. I think back to the first AVID class I taught— this is a four-year course designed to assist and nurture first-generation college attendees—and a student named Patty. When Patty applied to AVID in 8th grade, her teachers warned me that she wasn’t college material. The daughter of migrant laborers, she was an occasionally combative student who struggled to communicate and to complete assignments. But we struggled to find students in the program’s first year, so Patty was added to our roster. In AVID, we encourage students to bolster their college applications by pursuing extracurricular activities. Not a sports enthusiast, Patty ended up joining the Math Club, which raises funds to travel to different countries during spring break. In the club, she met students with backgrounds much different than her own. Over many hours of work, her worldview slowly expanded. She began hanging out with students who could show her new countries and cultures, while she showed them her own—as a student whose parents left her with an older sister while they traveled to Yuma with the crops every year. Patty was always well-versed on the struggles of life, but in bridging those canyons to other worlds while in high school, she became a better student, and more thoughtful and well-rounded. As a result of this growth, Patty became the first member of her family to attend college, winning a prestigious scholarship along the way. Experiences like mine and Patty’s are not all that difficult to find here, but they are not common enough. At Salinas High, we have been in a holding pattern of two steps forward and one step back for far too long. We have had some good principals, but turnover is high; I’ve had five principals in my 10 years there. Each new principal brings new programs and goals—not including the district mandated systems. And often when a principal leaves, those priorities are quickly reorganized. It is hard to maintain progress with such revolving doors. And all of this is set against the periodic cycles of gang violence. For me, one of the most beautiful parts of Salinas is our diverse population. But we seize too few opportunities to bridge our gaps—especially in our schools. This past year, our school implemented a program to create positive interventions for students who are not meeting expectations—rather than suspending them, which is a negative intervention that extends a student’s time away from school. The majority of suspended students are English language learners, minorities, and male, all students who would benefit from spending more time around a diverse set of peers. We also can strive to create classroom compositions that more closely represent the demographics of our schools. This is especially vital in our honors, AP, and leadership classes. These classes, and the hard work they require, help to form bonds that can close some pre-existing gaps between students of different backgrounds. Finally, as schools, we need to continue to foster relationships with programs that bring diverse groups of students together. One great example is the Monterey Bay Aquarium’s Teen Conservation Leaders Program. It brings 40 to 50 students together over the summer, and trains them for two tracks—“guest experience” or “middle school camps.” These diverse groups include students from throughout the area. It is clear by the end of the summer that the students have learned just as much from each other as from the program. Salinas, while small, is big enough to prepare our children for a diverse future and provide the foundation of empathy to equip them to be successful—and to be the kind of adults we all strive to be. 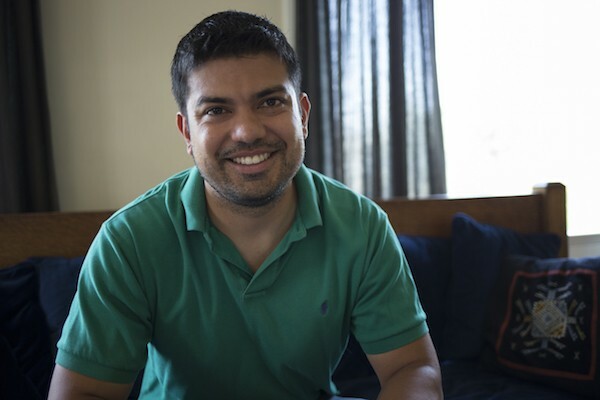 Juan Govea is a biology teacher at Salinas High School. 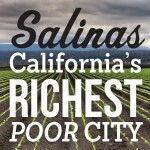 This essay is part of Salinas: California's Richest Poor City, a special project of Zócalo Public Square and The California Wellness Foundation.